Shh, don’t tell anyone, but despite hosting tours, Ade and I have barely actually ever been on a tour ourselves. Unless you count that one mini tour with three other people through Tanzania. Other than that, nothing. 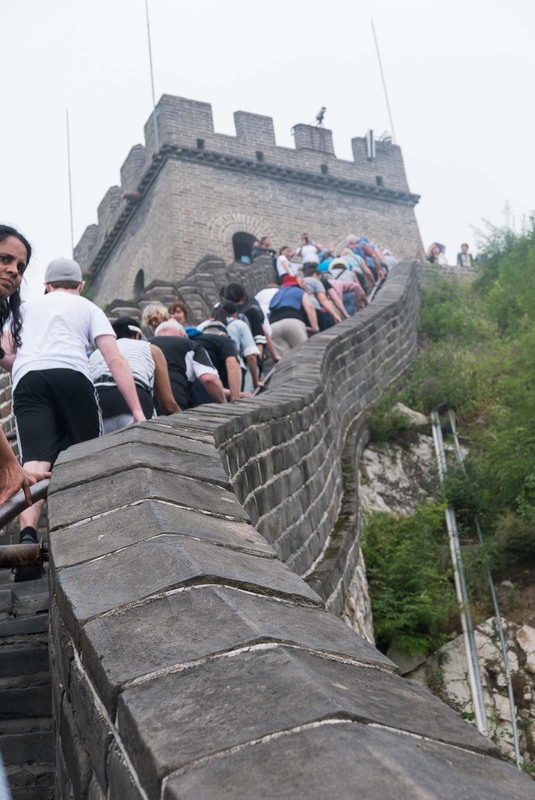 And so when we saw a great deal on a tour to China we thought this was it, let’s try our first large scale, full-blown tour as guests, no responsibility. We can just sit back and let someone else do all the work. 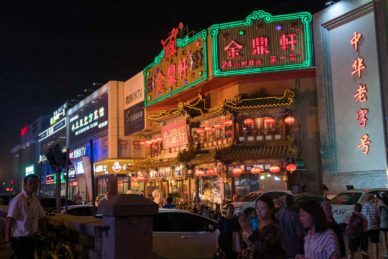 But then of course, Ade couldn’t go, so I dragged along my sister, Julie, instead, and that’s how I found myself in a group of nearly 50 adults traipsing through the sites of China. Our first stop was Beijing. It was large, overcrowded and foggy, but oh so interesting. We wandered through Tiananmen Square and through the imposing front entrance into the grounds of the Forbidden City. 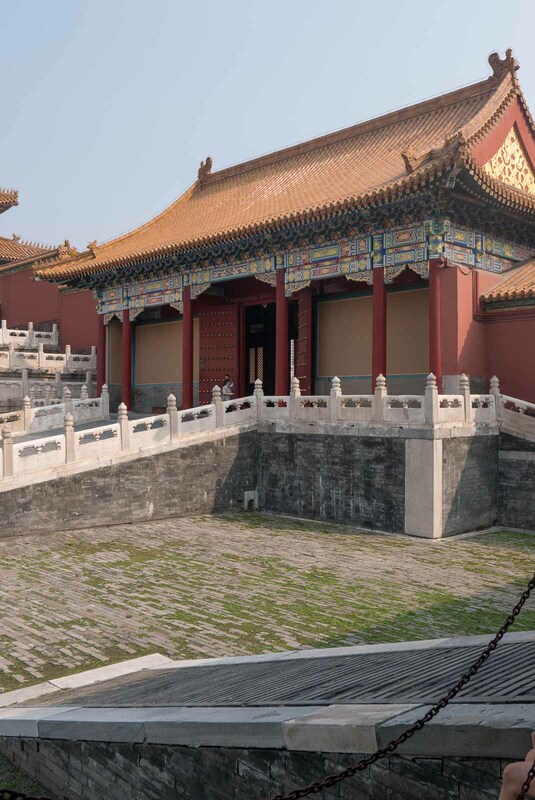 The Forbidden City served as the Imperial Palace for the Emperors during the Ming and Qing Dynasties. 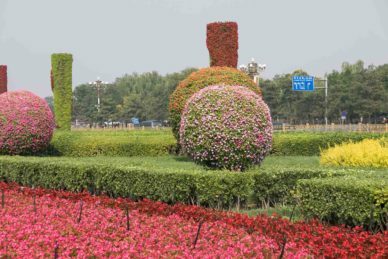 It is big, according to TravelChinaguide.com it is the largest palace complex in the world spanning almost 183 acres. We didn’t walk through all the rooms – there are 8700 afterall, it would take us weeks to get through all those rooms and there was so much more to see. A short stop in Beijing. The manicured gardens of Tiananmen Square. Our next stop was the Temple of Heaven. 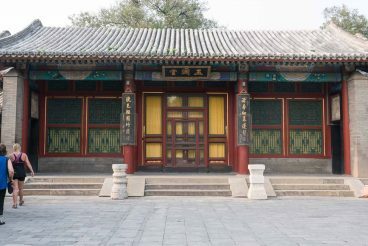 The Temple was used by the Emperors of the Ming and Qing Dynasties for annual prayer ceremonies seeking a good harvest. It is a beautiful, peaceful site. Walking into the temple grounds, along a beautifully painted, covered pathway (don’t forget to look up! ), we passed by many locals playing board games, chatting, knitting or just sitting in quiet reflection. The Temple is still a place of gathering. After visiting the temple and photographing it from every possible angle, we walked out, through the park-like grounds where our guide pointed out an even larger gathering of locals. But of course the real highlight of China is a trip to the Great Wall. It is every bit as impressive as you expect it to be, and a lot tougher to climb. 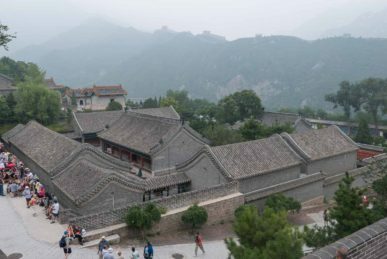 Yes, it’s packed with tourists, especially if you visit close to Beijing, but if you climb higher you can find some quiet spots, perfect to contemplate just how they built this amazing structure. And don’t worry, there are shops along the way so you can buy a drink – even a beer if you need one! In total, the wall is said to be 21,134 km, stretching from Dandong in the East to Lop Lake in the West and roughly follows the arc of China’s border with Mongolia. You’ve seen it thousands of times in photos, but nothing ever quite compares with seeing it in person. The wall represents the force, the mite of China as a nation, and the sheer determination and strength of those who imagined, designed and finally built it. 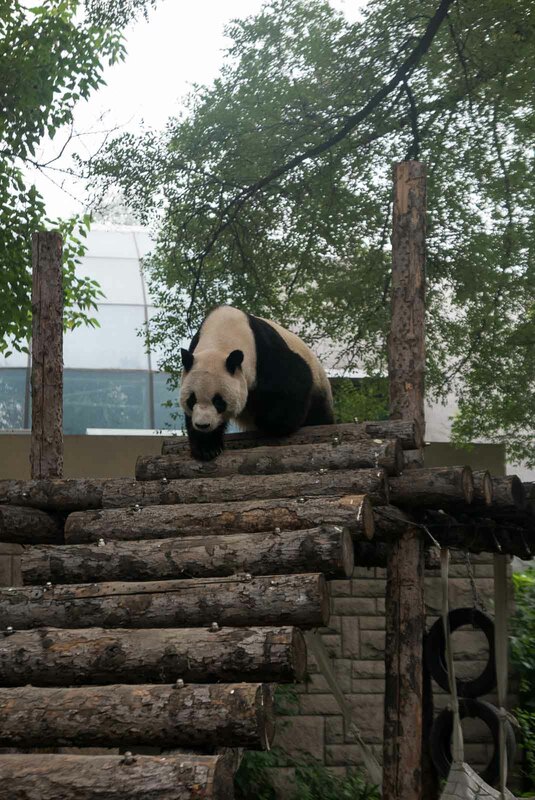 From walls to wildlife, a quick stop at Beijing Zoo gave us a chance to get close, though not too close(!) 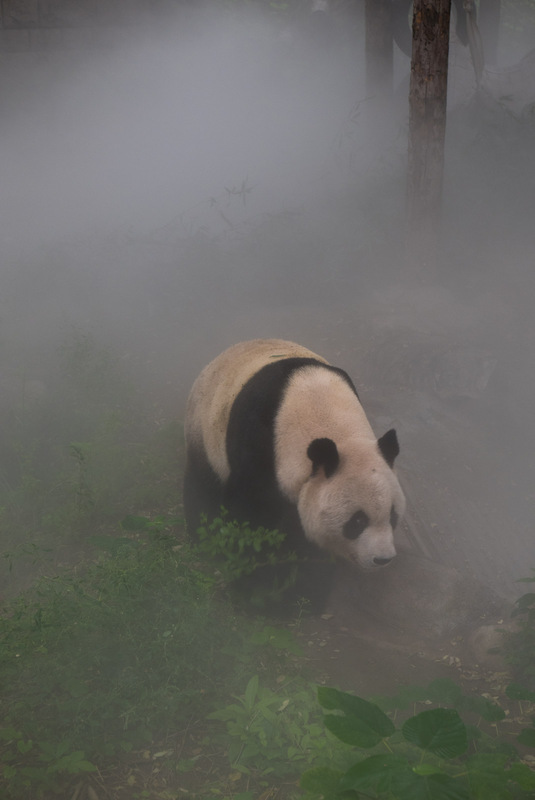 to the beautiful locals – the pandas. 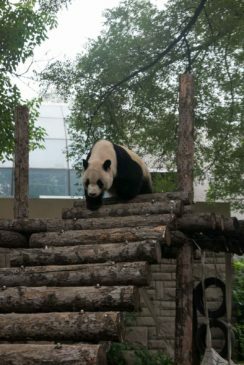 Most of our wildlife viewing is done in the wild, so I had mixed views about seeing the pandas in the zoo. 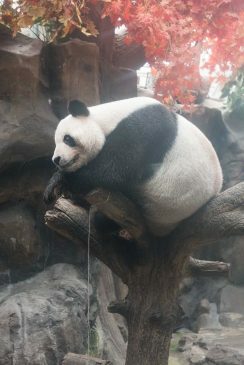 They are beautiful, amazing animals and I’m glad I got to see them. But each of the pandas we saw, all in separate enclosures, had a sadness about them. But then, I’d probably look sad too if my house was surrounded by people all trying to photograph me! And then there was the Summer Palace. The Palace, listed on the UNESCO World Heritage list in 1998, is 2.9 kilometres of gardens, lakes and palaces. There is so much to see here you could easily spend a day, from traversing the lakes on boats, to wandering through the grounds or the palace buildings. The site dates back to the Jin Dynasty in 1153, today it is a tranquil site for locals and tourists alike. We always love to see local villages when we travel, to see how the locals actually live, so a stop to Hutong Village was a must (fortunately it was included as an extra on our tour). It didn’t disappoint. We wandered along the shopping strip, resisted the temptation to stop and buy in every shop and instead marvelled over the architecture and the uniqueness of the buildings. We took a slow walk into the nearby village and stopped in one of the homes to learn about their way of life. 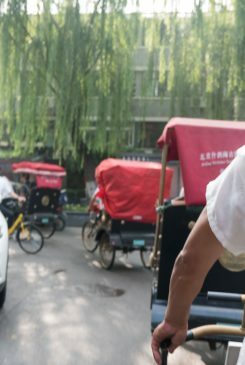 Race of the rickshaws in Hutong Village. 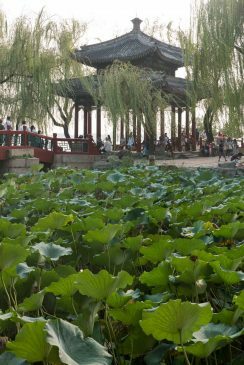 The giant lake at the Summer Palace. 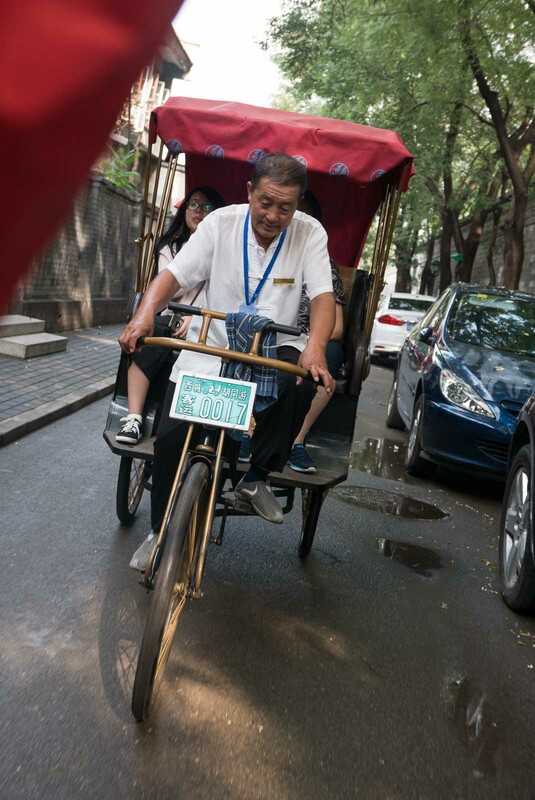 After a short briefing and walk through the home itself, we grabbed a rickshaw and sped through the streets of Hutong. And I mean sped. Our driver acted like we were a part of the Amazing Race, whizzing through streets, passing other drivers and pointing out the highlights along the way. Julie and I laughed, only encouraging him to go faster and faster. We stayed at the Chunhuiyuan Hot Springs Holiday Resort. Was it long enough? You rarely get long enough in any one place on an organised tour, and there is always more to see. 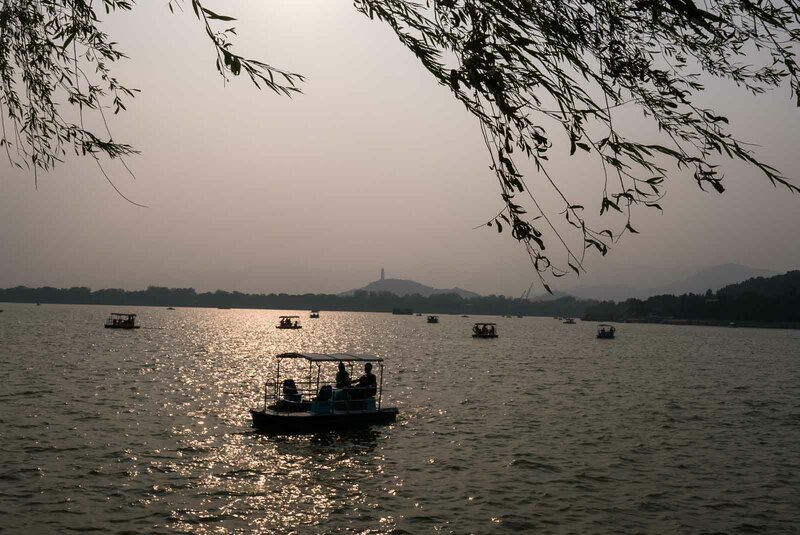 I could have spent more time at the Great Wall and at the Summer Palace just soaking up the atmosphere. But, overall, I was happy with the time we spent in Beijing. 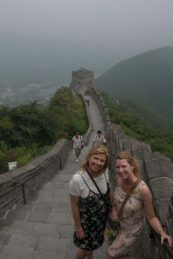 Highlights: Walking the Great Wall, wandering through the streets of Hutong Village, the grounds of the Summer Palace. Been to Beijing? What were your highlights? Join AllAbroadAU on Instagram, Facebook and Twitter for more travel inspiration.